The weather has definitely gone from cold to……freezing!! I find it hard to cope when the tempreture drops and I just want to roll myself up in a duvet all day long. 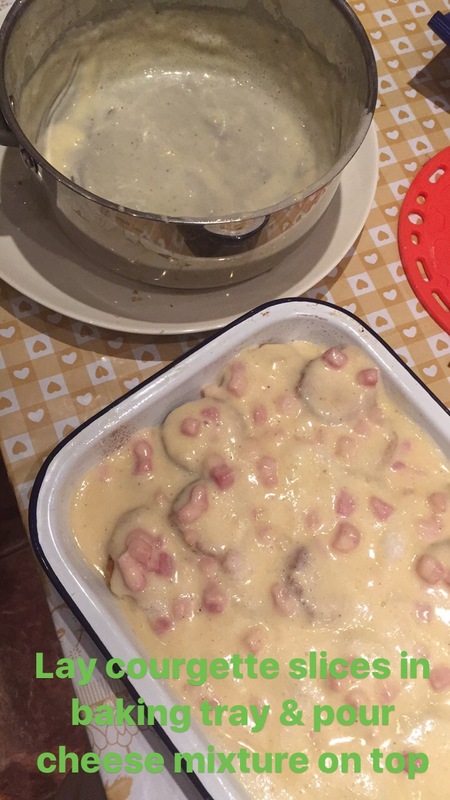 The closest thing to get me feeling warm and snug is when I cook something as comforting as a pie. 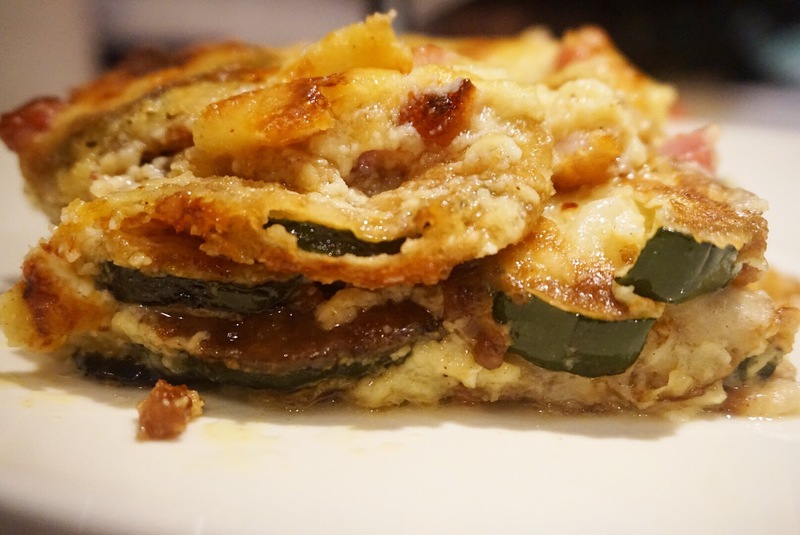 This week it’s all about pies and this Italian courgette pie is FAB-U-LOUS. 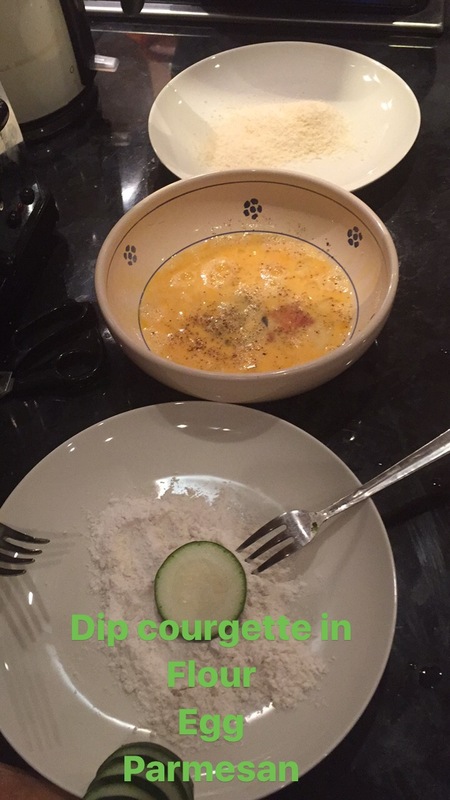 Coat the slices of courgette in (2tbsp) flour, then beaten egg, then Parmesan. 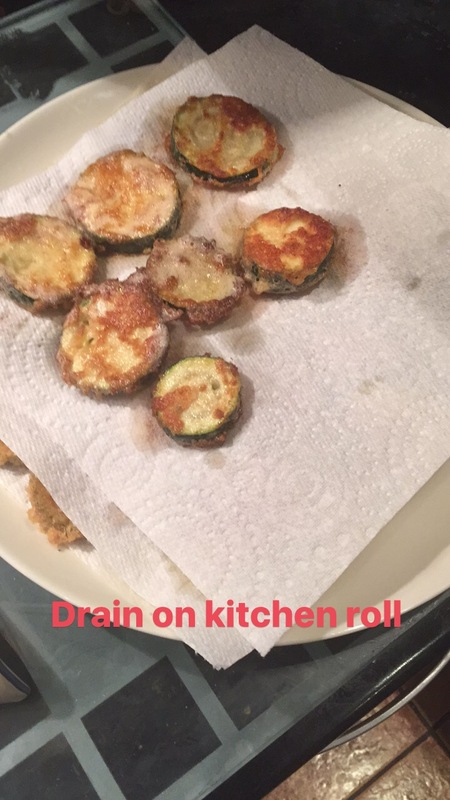 Deep fry them in olive oil, until lightly browned and crispy. 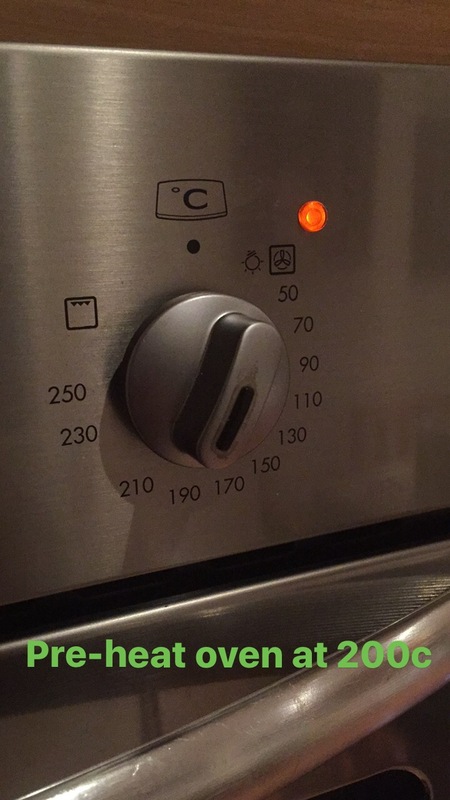 Drain on kitchen paper and arrange in buttered oven dish. 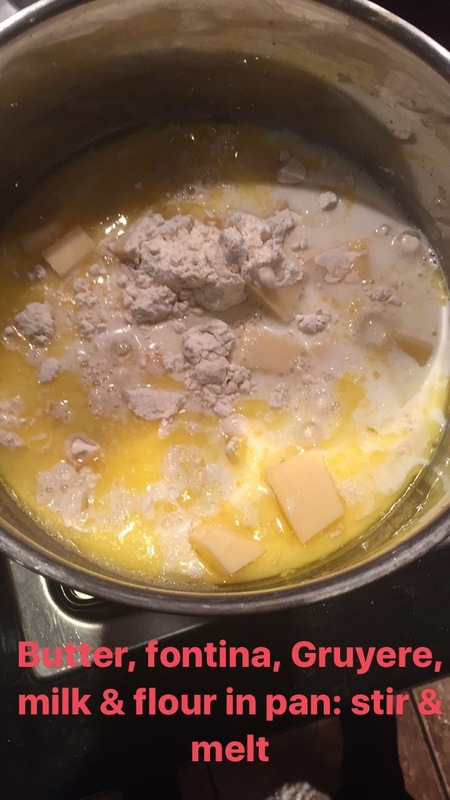 In a pan, add the fontina, gruyere, butter, remaining flour and milk and on a low heat, melt into a sauce. 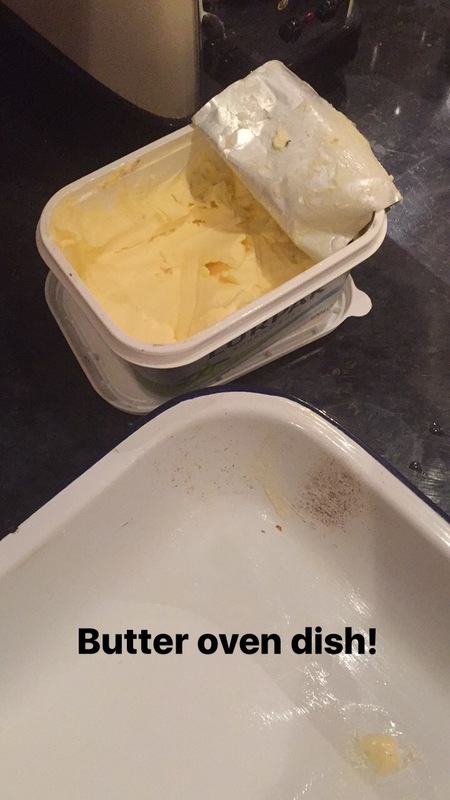 Make sure you whisk the ingredients well together. Season the sauce with nutmeg and salt and pepper. 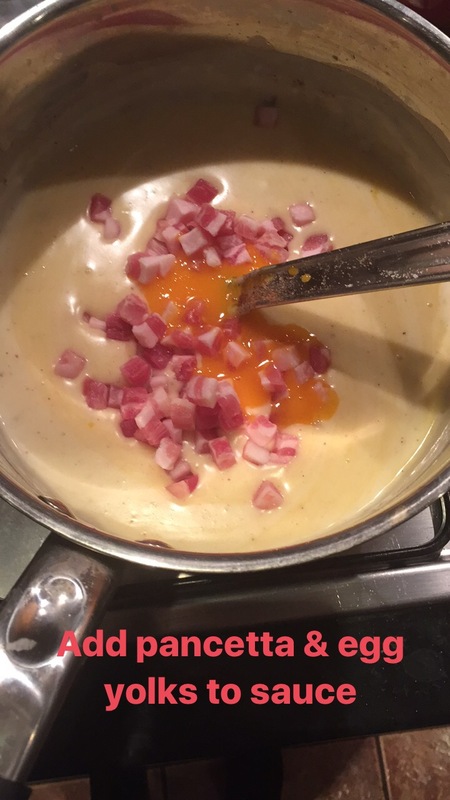 Remove the pan off the heat, add the egg yolks and then the pancetta. Whisk the egg whites until stiff and fold into the sauce. 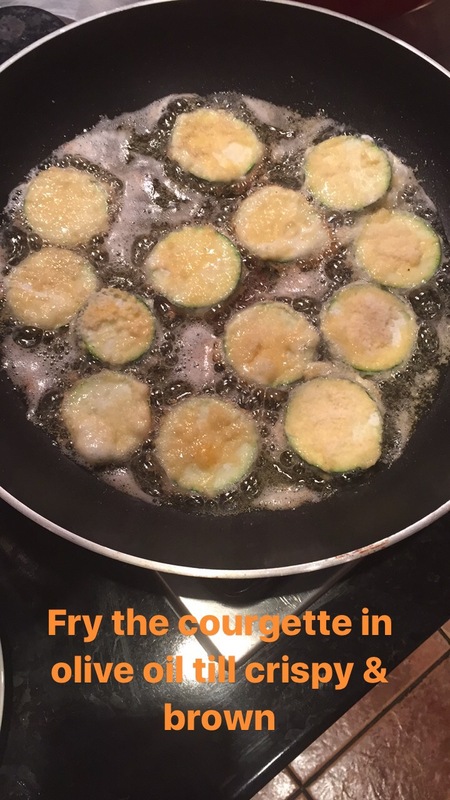 Pour on top of the fried courgettes and bake in the oven for about 20 minutes or until brown on top.